What is Needed to Protect and Restore one of the Gulf Coast’s Largest Swamps? Mardi Gras Pass Is Building Land. Here’s Why It’s Important. Dr. Theryn Henkel is currently the Assistant Director for the Coastal Sustainability Program at the Lake Pontchartrain Basin Foundation, a local not-for-profit located in New Orleans, Louisiana. Theryn completed her undergraduate studies in environmental science at the University of Long Island at Southampton then went on to complete her Master’s Degrees in Applied Ecology at Indiana University. She obtained her Doctorate degree at Tulane University in Ecology, focusing on forested wetland recovery from damage caused by hurricanes. She is currently involved in projects that investigate the effects of “legacy river diversions”, wetland loss, reforestation and the development and evolution of created wetlands in an urban environment. Theryn is originally from Seattle, Washington, where she grew up enjoying all the outdoor activities that are available in that beautiful region of the United States. Henkel, T.K., E. Hillmann, and J. Lopez. Sediment transport, land building, and successful swamp restoration in the footprint of the Caernarvon Freshwater Diversion, Southeast Louisiana. In progress. Henkel, T.K. and J.Q. Chambers. Competitive interactions between a pioneer, climax, and invasive bottomland hardwood species under vaying shading and flooding regimes: Red maple (Acer rubrum var. drummondii), water oak (Quercus nigra) and Chinese tallow (Triadica sebifera). In progress. Henkel, T.K., J.Q. Chambers, and D.A. Baker. (2016). Delayed tree mortality and Chinese tallow (Triadica sebifera) population explosion in a Louisiana bottomland hardwood forest following Hurricane Katrina. Journal of Forest Ecology and Management. Henkel, T.K. (2012). Post-hurricane tree dynamics in a southern bottomland hardwood forest. Dissertation Tulane. Negron-Juarez, R., D.B. Baker, H. Zeng, T.K. Henkel, and J.Q. Chambers. (2010). 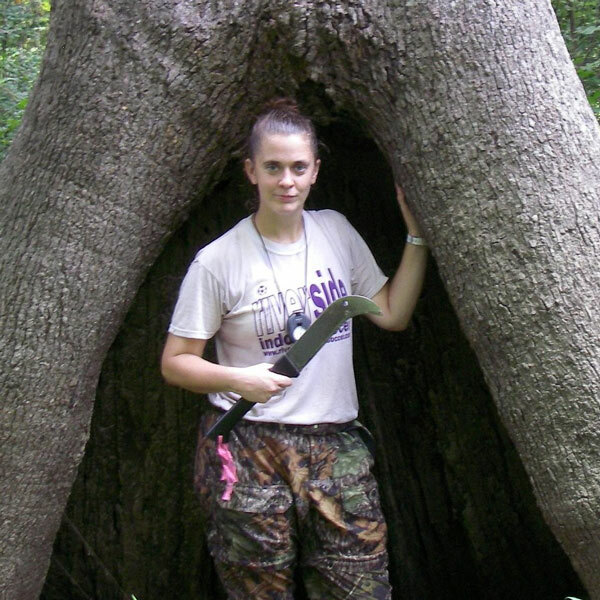 Assessing hurricane-induced tree mortality in U.S. Gulf Coast forest ecoystems. Journal of Geophysical Research.